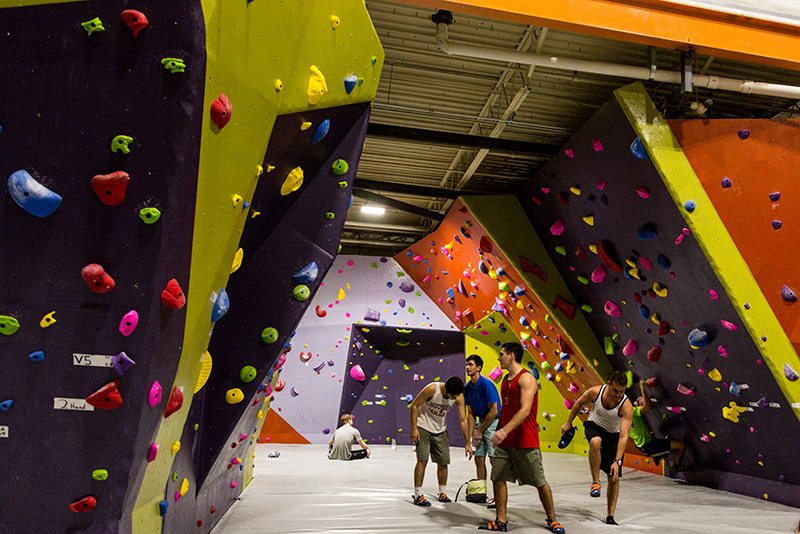 High Exposure is Bergen County's premium climbing and extreme sports facility. 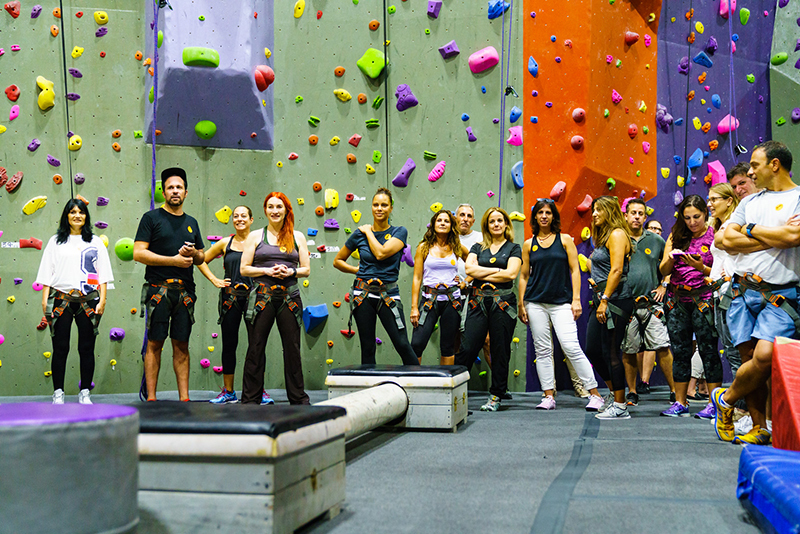 We offer Indoor Rock climbing, Ninja Warrior and Parkour activities. 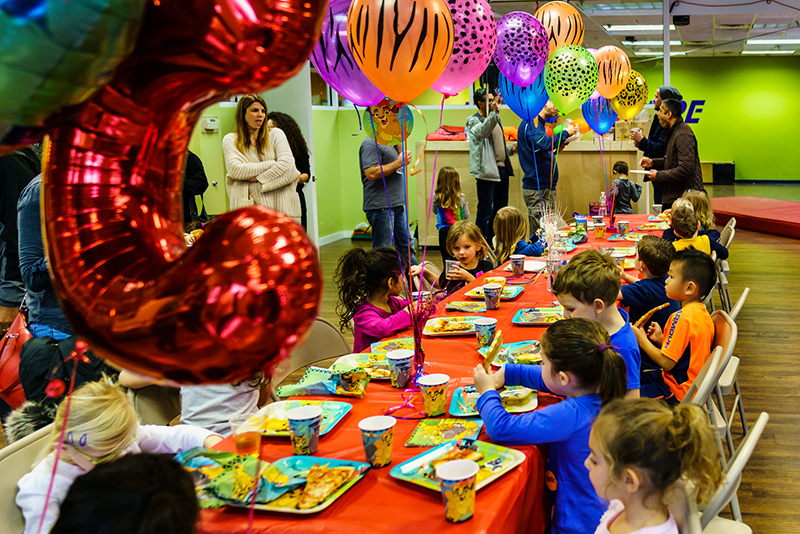 No reservation is needed, just bring your family anytime during business hours for 2 hours (suggested) of play. Full facility access and equipment included. 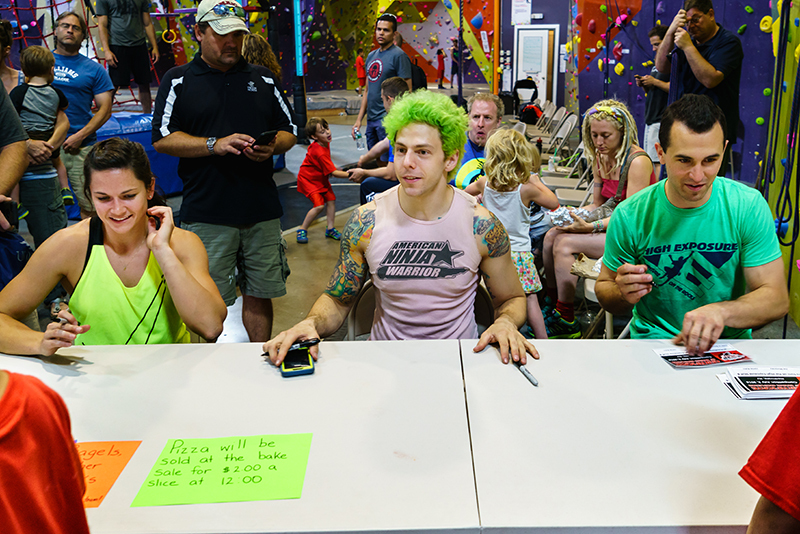 Our staff will assist the kids - clip/unclip them and belay them in the Action Adventure area. Walk the plank off a 32 ft high Leap of Faith! 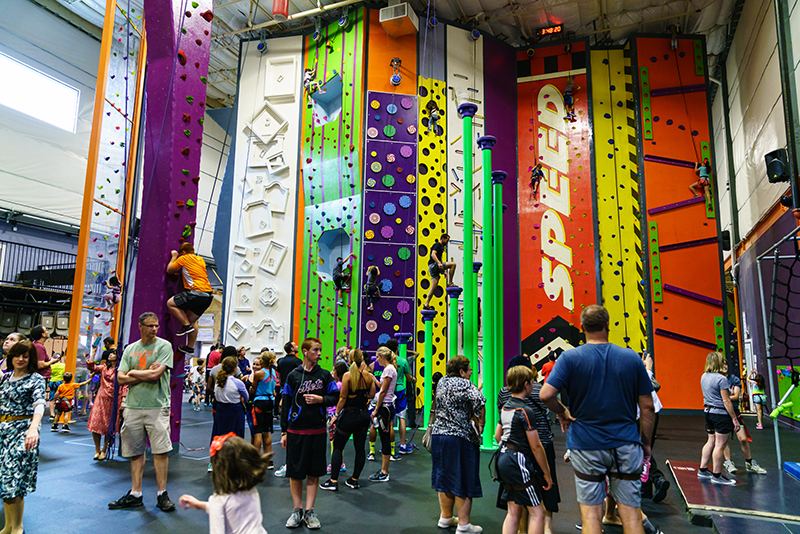 Speed climb your way to the top of our walls! Solve your way to the top of our GIANT Rubiks cube! Learn balance, conquer fear in our interactive space and experience something totally new and exciting. We have an awesome Nerf Arena! 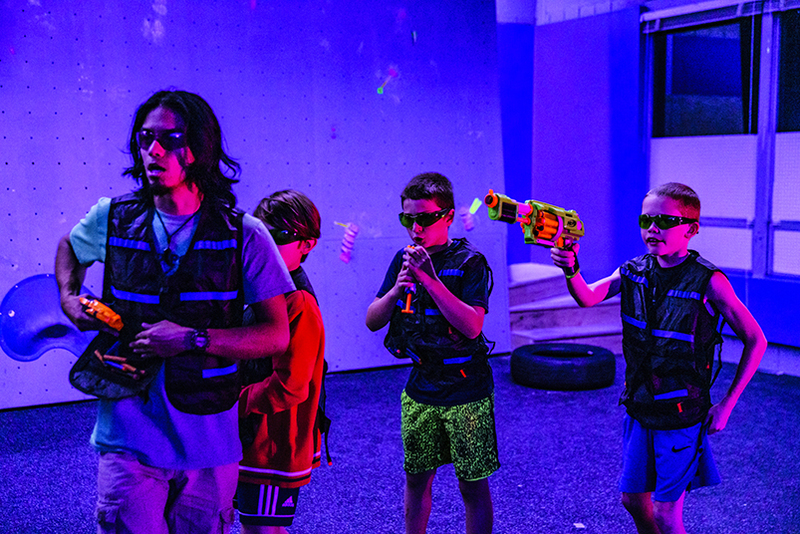 Open for Birthdays, OPen Nerf sessions, Team building events and so much more! 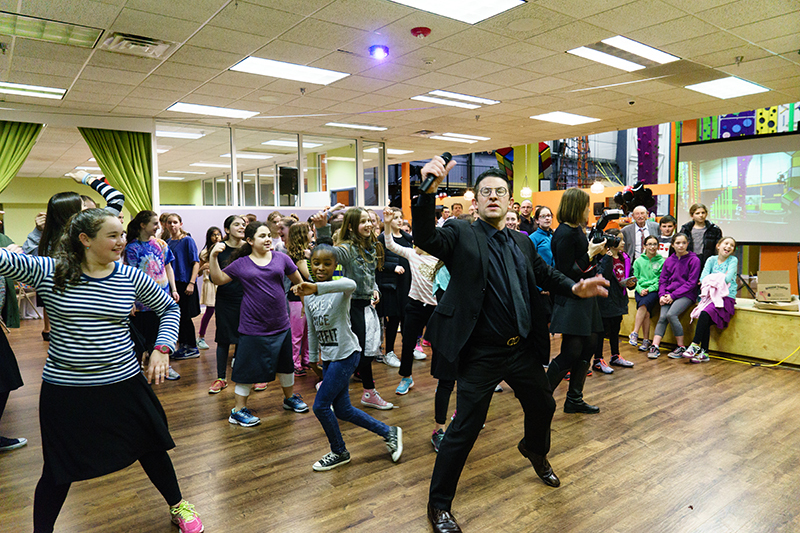 High Exposure offers one of a kind birthday parties for all ages. 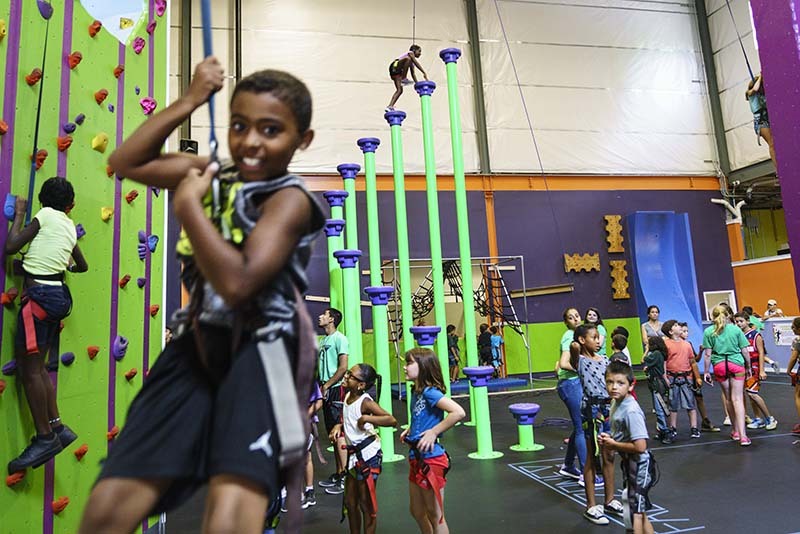 Enjoy an hour and a half of party time in one of our renowned climbing or ninja warrior areas. After an exhilarating party relax and enjoy provided pizza and drinks in one of our private dining areas. 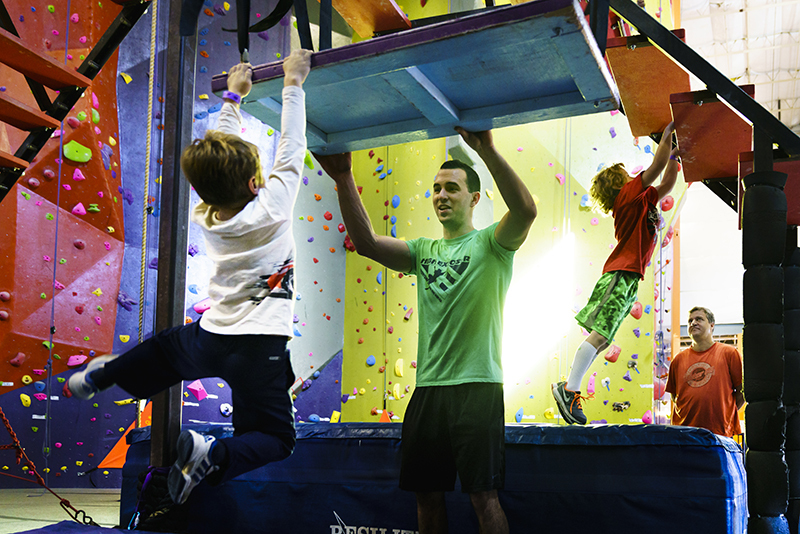 High Exposure offers a range of classes for all ages, in Ninja, Spartan, Parkour and climbing. Whether you are new to the sport and looking to learn or at an elite national level, our nationally ranked coaches can help you improve. We have over 35 Top Rope lines, steep lead arch, 100+ routes, and we have a host of lines with TrueBlue Autobelays on! Add a campus board, V0-V12 Boulders and training gear we've got it all! High Exposure offers an awesome immmersive experience for all Scouts: Cub Scouts, Scouts, Brownies, Girl Scouts and Girl Guides! Why not break tradition and try something new!? Join us at High Exposure for a unique celebration! Looking for a new and fun way to get your colleagues and employees out of the office? Enrich them with a day experience at High Exposure! 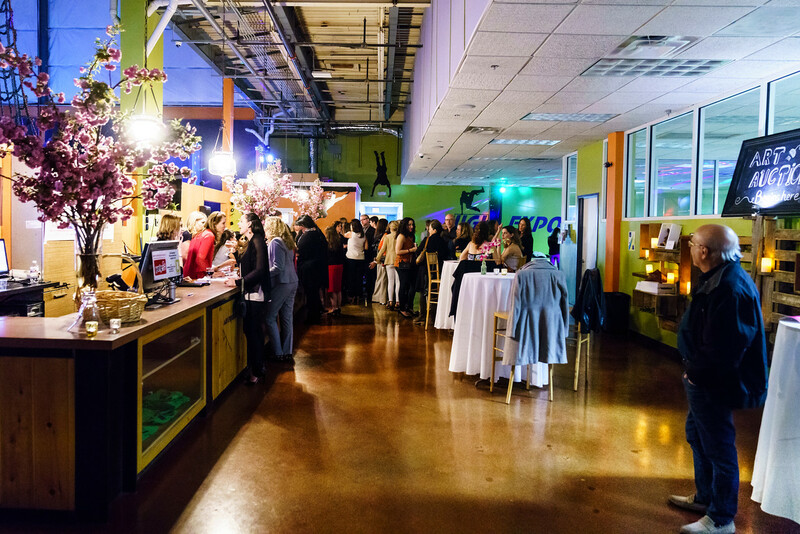 High Exposure is the ideal space to hold your event! We have a large vibrant space with eye catching climbing walls, dedicated caterers kitchen, and even a giant Rubik's cube which will keep your guests chatting! Warrior Joe Morasky and our amazing camp staff! 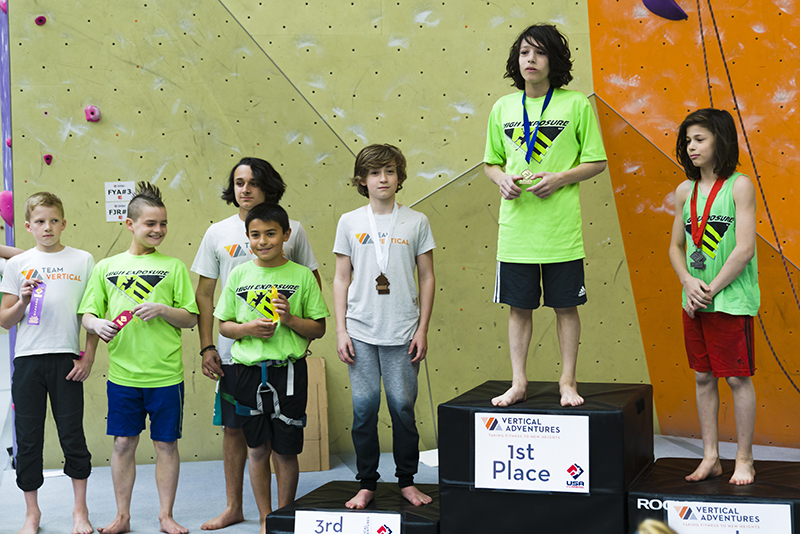 Learn Ninja skills through rock climbing, bouldering, parkour, games, and obstacles. 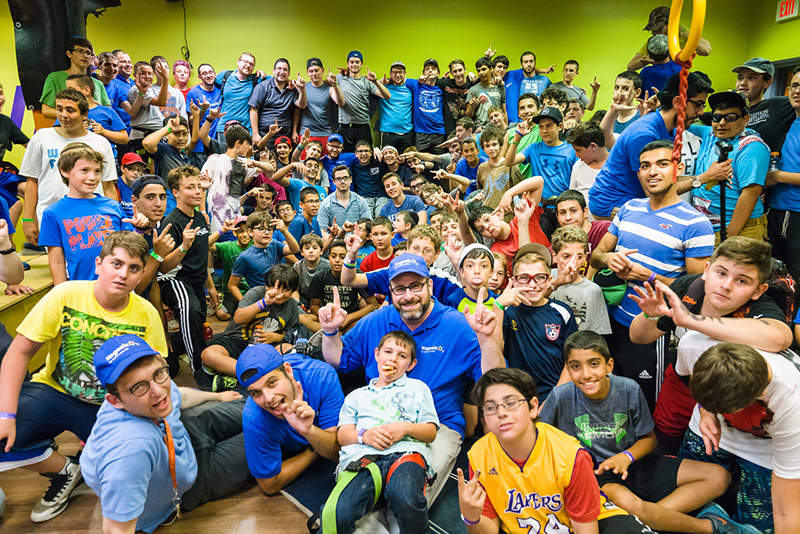 Our professional trainers offer break and summer camps for kids ages 5-17, grouped by age and skill level. Look no further than High Exposures super summer survival camps! Not only will campers climb, parkour, and use Ninja Warrior obstacles for training, campers will learn outdoor games and survival skills. 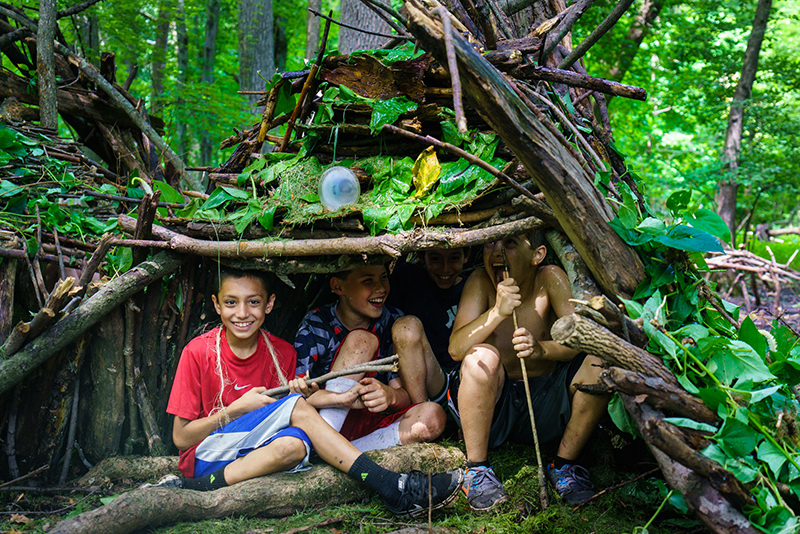 Campers will master a host of skills at the High Exposure camp: they'll tame the wild and build shelters, eat bugs and cook their own food with our instructors in the High Exposure woods!